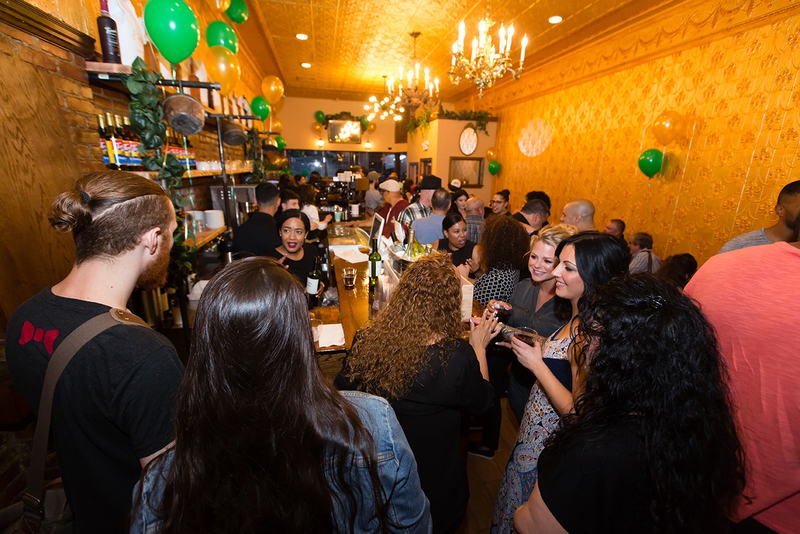 It’s time to welcome back Cafe Eclectic to Montclair, but with a twist! 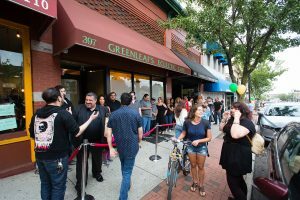 Greenleaf’s Eclectic Cafe opened to great fanfare on Wednesday night in Montclair, reincarnating the beloved original Cafe Eclectic. coming back again and again, soon becoming regulars that baristas knew by name. You might remember Julio Valentin when he made New Jersey state history in 2013 when he opened the state’s first medical Marijuana dispensary on Bloomfield Avenue in Montclair. 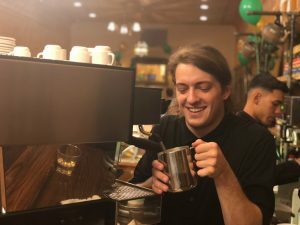 This dispensary is less than a block from his first venture, the original Cafe Eclectic, and opened just two years after shuttering the original cafe. The grand opening of Greenleaf’s Eclectic Cafe was filled with supporters of Julio’s newest business venture. His wife, kids, parents and extended family members were all in attendance, beaming with pride. More than 200 fans and supporters waited patiently behind the red velvet ropes for the grand opening. 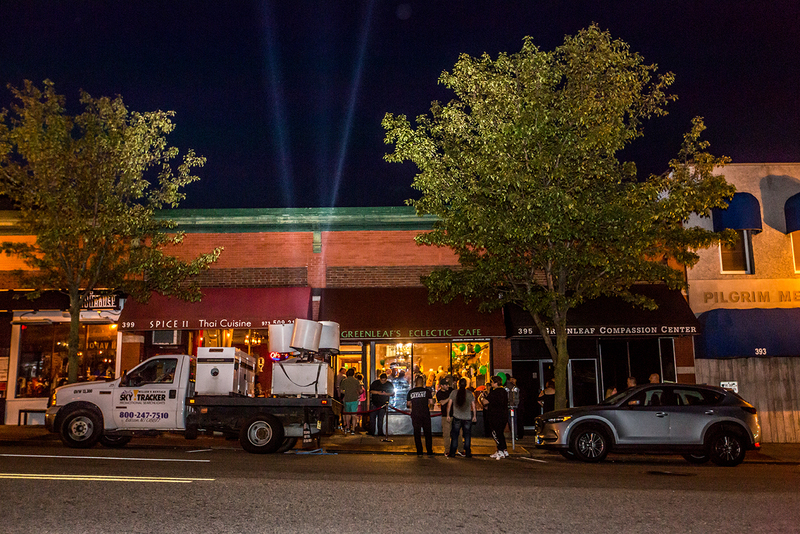 Searchlights traced the sky as the crowd grew antsy in anticipation of the big reveal of the cafe. Valentin enjoyed his Oscar-worthy moment and spoke eloquently thanking his supporters, partners, vendors, staff and most importantly his loving family for seeing his latest dream through to fruition. Following Valentin’s remarks, he knocked on the glass, signaling for the wraps on the windows to fall, finally exposing the interior of the cafe which was met with thunderous applause. Local photographer, Diana Roberts was in attendance to capture the big moments of celebration, reunion, gratitude, and joy. The menus were designed by local designer Peter Antonacci, a close friend of Julio’s. He kindly spoke to The Montclair Dispatch about being part of the process and the big event. “I’m good friends with Julio, and working with him was a pleasure. It was great to be part of the big day, the grand opening. I had a lot of fun designing, and I got to work with Julio on the inside decor of the cafe. It was a great cause and the entire experience was a pleasure!” The menu, created by Julio and designed by Peter is eight pages full of delectable breakfast items, crepes, salads, sandwiches, and pastries. And Greenleaf’s Eclectic Cafe brings a unique element by offering a full dinner menu in addition to their specialty coffee items and caffeinated staples. 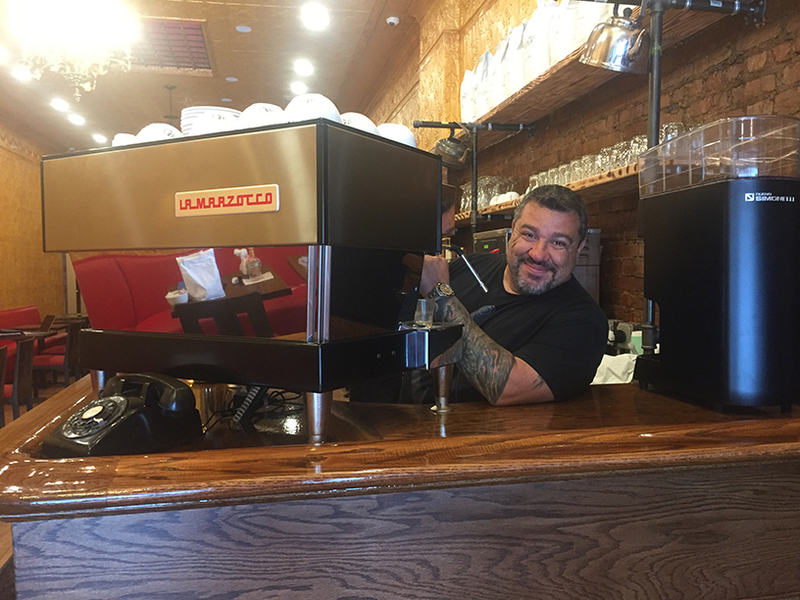 Located at 397 Bloomfield Avenue, directly across from the Wellmont Theater, the prime spot should provide the cafe with an unlimited and steady stream of customers. Montclair continues to solidify its place in the global economy with each addition to the varying mix of world-class venues. 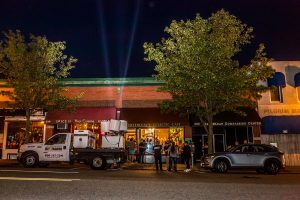 The Wellmont theater, the Montclair Art Museum, and the Montclair Film Festival, as well as hundreds of local business and professional offices, are all within just a short walk of the new cafe. The MC Hotel, slated to open in the coming year, as well as hundreds of apartments currently under construction, will drive even more customers to the area. Clearly, the new cafe is at the center of the fastest growing urban center in the New York metro area. Let’s all give Julio Valentin and his news Greenleaf’s Eclectic Cafe a proper and warm welcome!